Pat Bowman is an agent in the life and health insurance industries. She is originally from the northeast part of the country where she spent years in ministry, health care, education and office work. She has added Life and Health insurance sales to her resume. Pat loves meeting people and helping them to understand the complex insurance programs and then give them the best and most reasonable solutions to meet their individual needs. Most of Pat’s clients are in Weakley and Henry counties in Western TN. In these changing times she tries to help her clients make the best choices and to be there to answer any questions they may have. She is an active member and Sunday school teacher at First Assembly of God in Milan. When Pat isn’t out selling, you can find her in church, her garden and or spending time with her daughters and grandchildren which are local and in California, Nevada and New York. 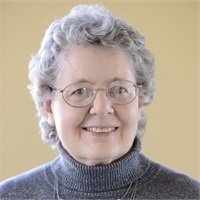 Pat has family members all over the United States which provides her the opportunity to meet many people and develop relationships with people of different ages and groups. You will fall in love with her warm heart and caring demeanor as she will provide solid knowledge concerning your insurance needs and questions. Pat is not affiliated with Securities America.